Entering the current contemporary watch market is no easy feat. It’s no longer enough to produce a quality product. Behind the product there must be an identity; a story that modern gentleman can relate to and embrace. 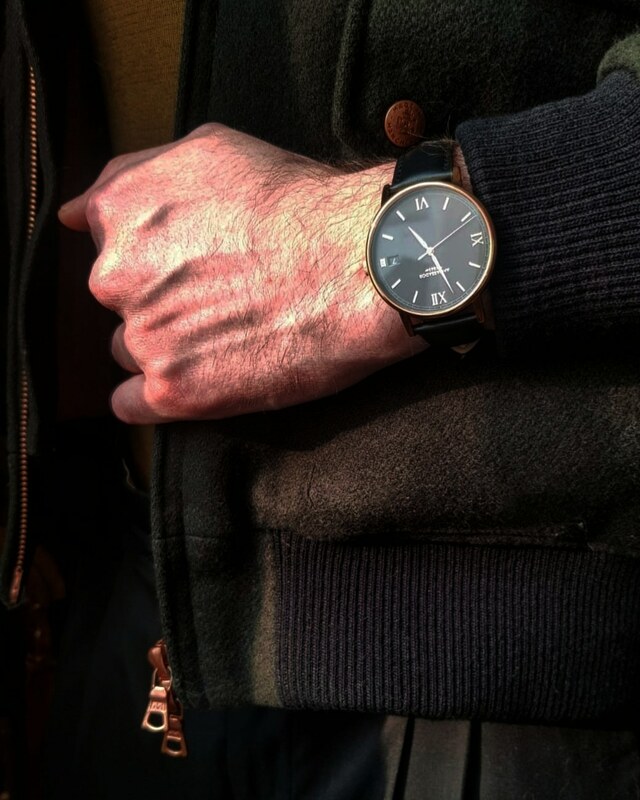 Few do it well, but when I sport the Ambassador Heritage 1863 watch, I feel like I am part of the story, proud to share the character of the timepiece and how its humble beginnings resulted in such a strong collection. This tale begins with their namesake’s profession: the ambassador. Like all envoys, the original ambassador’s job was to be the manifestation of his homeland on foreign soils, but he was always different. Regardless of where his work took him, he stood out and became renowned for his refined taste for everything vintage. His suits were tailored to fit his mid-20th century style, his hair reflected a comb-over that many thought had been lost to another era, and his demeanour was class itself. He captivated crowds and demanded crisp perfection. The ambassador was timeless. When Ambassador’s founder met him, they were at the infamous Café Gerbeaud in Budapest. Daylight was fading, with the evening fast approaching. Settling in with a book, black coffee, and a smoke, the founder couldn’t help but notice the ambassador and his magnificent beard sitting only a couple meters from him. Before he could register what he was seeing, the ambassador began to make a move in his direction, with a pipe in hand. A rustic voice exuded from the man, suavely explaining that he happened to leave his lighter at his hotel and was hoping the founder could supply him with a light. Pulling out a decrepit matchbox, Ambassador’s founder gladly handed his matches over. A naturally observant person, the founder couldn’t help but critique the ambassador like one would an old photograph. It was clear he wasn’t ordinary. As he was scrutinizing this archaic-being, a glimmer from the evening sun reflected off an exemplary timepiece on his left arm. This was the moment everything aligned. In a divine sequence, the igniting of that match and pipe would forever signify something genius. After it was clear the pipe had been lit, the founder complemented the ambassador on the art engulfing his broad wrist, sparking a conversation that was too alluring to be coincidence. Inspired to convert a pocket watch from the 1860’s into a wristwatch, Ambassador’s founder crafted the Ambassador Heritage 1863. Like so many originals, this watch has Roman numeral dial markings, elongated hands, and a traditional crown. The case and crystal were designed to create a crisp and box-like look, serving as a counterpart to the traditional round look of a pocket watch. The lugs have also been lengthened to properly complete the transition of a pocket watch turned wristwatch. Finished in black and gold, this piece is a proven conversation starter. 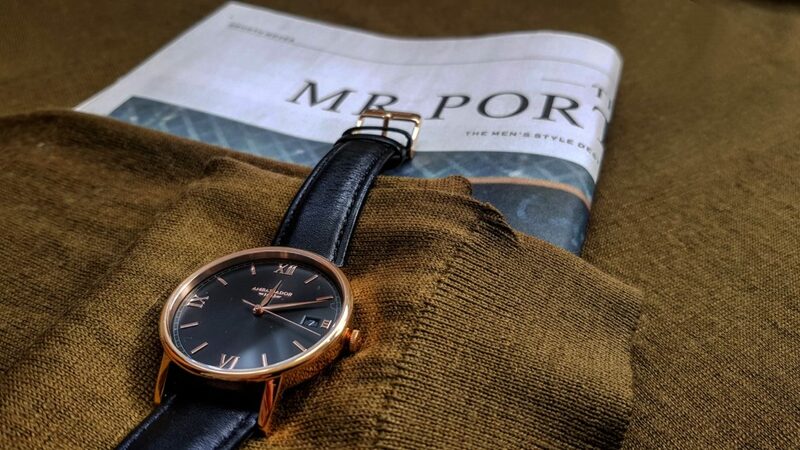 Exceeding the standard, the Ambassador Heritage 1863 takes pride of place on my wrist. Sporting a Japanese quartz movement, the watch embodies the spirit of the ambassador whilst demonstrating exceptional craftsmanship and Roman numeral detailing. 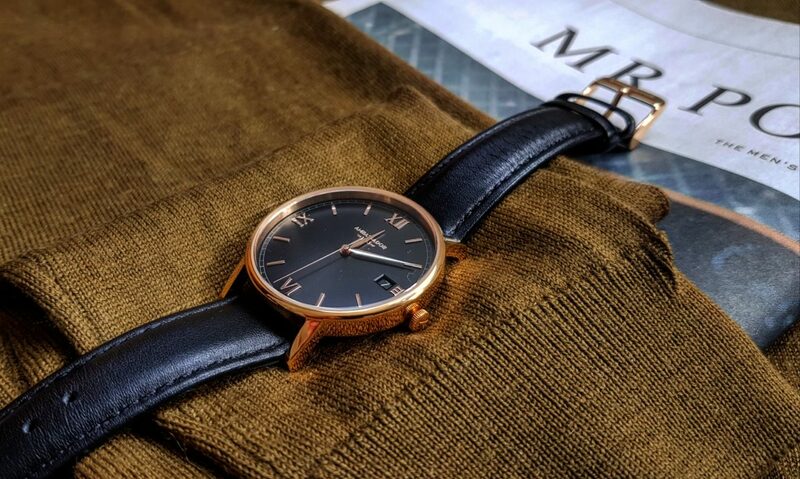 I’m incredibly excited to incorporate the Ambassador Heritage 1863 into my wardrobe rotation, the predominant black and gold presence of the piece lends itself well to a number of outfit options. On top of this, the versatility of the inter-changeable straps ensures limitless possibilities when selecting your daily style. I’m sure I will soon be adding the mesh gold strap to compliment this fine timepiece. I am proud to to be part of greatness. I am proud to be an ambassador. Check out more of our watch features here.